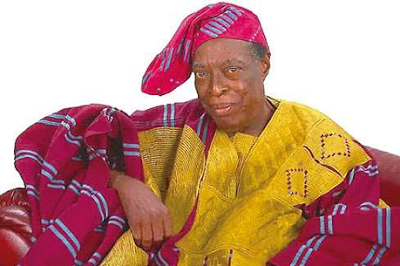 The burial rites of late actor, Pa Adebayo Faleti, begins tomorrow, with a day of tributes and performances, just as the Oyo State Government presented a cheque of N5 million to his family as donation towards a befitting burial. The State Commissioner for Information, Culture and Tourism, Mr. Toye Arulogun said the day of tributes and performances would hold at the International Conference Centre, University of Ibadan by 4.00pm, noting that government’s widow’s mite was part of the measures put in place to celebrate the ace broadcaster and Yoruba literary icon. Arulogun stated that the government would provide other necessary logistics as deemed fit towards the burial of the man whose contributions to the exposition and development of yoruba culture and arts in Oyo state and in Nigeria in general cannot be underestimated. The commissioner added that the commendation service for Faleti would hold on Wednesday, September 6 at Salem Baptist Church Yemetu by 12.00pm while there would be the lying-in-state at his residence on Thursday, September 7, by 8am, lying-in-state at BCOS, Ile Akede by 10am, NTA Ibadan at 11.00am. Arulogun said the body of the late Cultural icon leaves for Oyo town for Service of Songs/Christian Wake Keep at First Baptist Church, Isokun, Oyo on Thursday and there would be Artist Night to celebrate Faleti at Plaza De Haruna, Oyo by 8.00pm, stressing that the final burial ceremony service will hold on Friday, September 8, 2017 at First Baptist Church, Isokun and Interment holds at Agboye Village, Oyo via Ogbomosho.